There are many types of travel trailers to choose from on the market today. 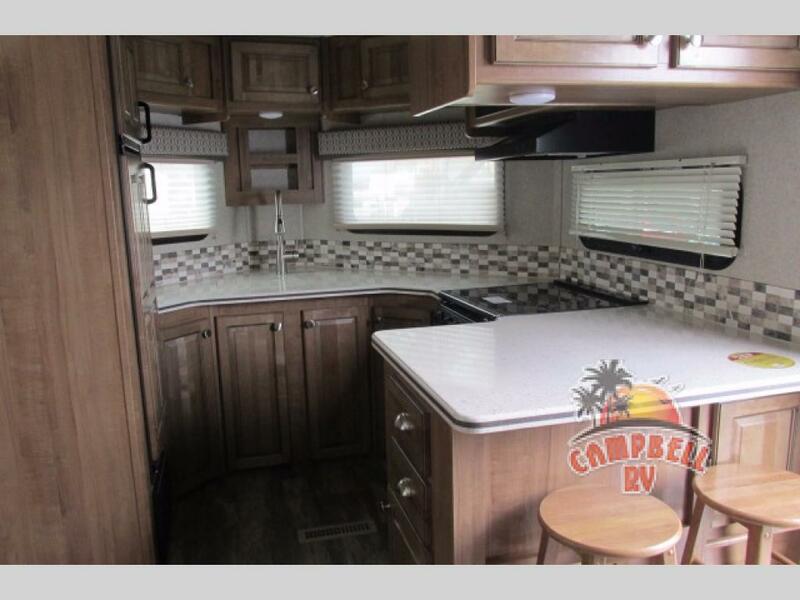 From lightweight to luxury, RVers have a wide variety of campers to pick from. One travel trailer that does a fantastic job combining luxury features with lightweight towing while also putting a unique twist on the layout that’s all their own, is the Forest River Flagstaff V-Lite Travel Trailer. The Flagstaff V-Lite’s “V” nose front design is both aerodynamic for an easy towing experience and also maximizes the most amount of interior space by extending the floorplan over the front hitch frame. 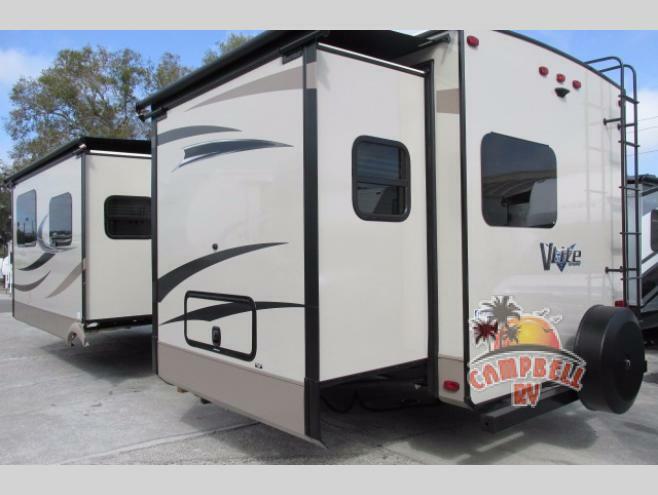 The aerodynamic, six-sided vacuum-bonded exteriors and aluminum cage construction easily stands up to travel road wear and will provide an attractive looking RV for years to come. The interior is just as carefully thought out as the exterior. With plenty of luxury, residential furnishings to make your home away from home a joy to travel in, the Flagstaff V-lite is ideal for both relaxing and for entertaining friends and family. Upscale interior furnishings can be found everywhere you look. 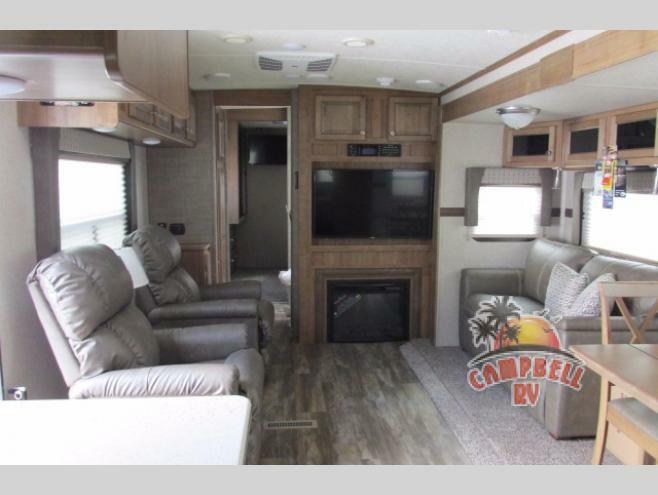 The living area features ultra comfortable seating including a deluxe Tri-Fold sleeper sofa with storage, push back recliner, La-Z-Boy swivel rocker, or theater seating depending on the model. Day/Night shades offer privacy and light control in combination with deluxe window treatments. Curl up in front of the cozy electric fireplace on cool nights while enjoying a good book or a warm mug of cocoa. In the kitchen you will find solid surface Corian kitchen counter tops, a recessed cook top with oven, a real tile back splash, and an extra large double door 2 way refrigerator. You will love all the upgraded amenities this high class kitchen has to offer. 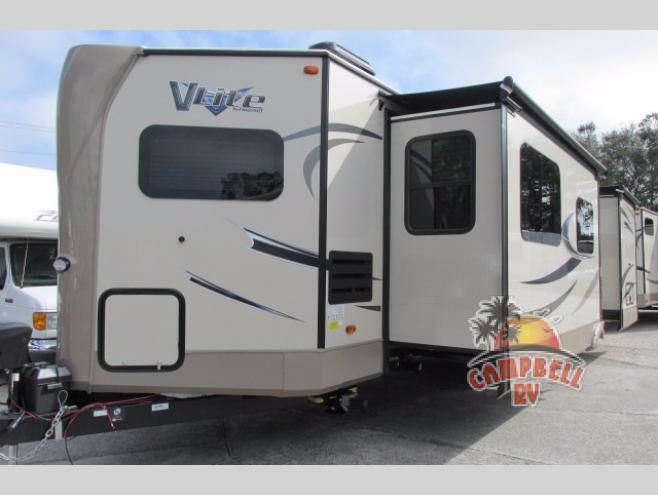 With so much to offer experienced travel trailer campers, Forest River Flagstaff V-Lite Travel Trailers are a sure bet. 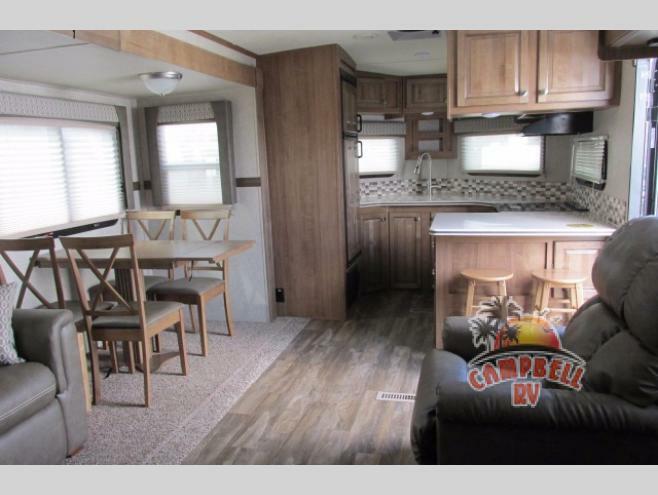 Contact Us at Campbell RV for a personal tour of these unique travel trailers.